Located within easy walking distance of Waterloo Station on Waterloo Road, the 297 bedroom hotel makes this the largest Hampton by Hilton outside of the USA. Offering free hot breakfast for overnight guests and free WIFI. 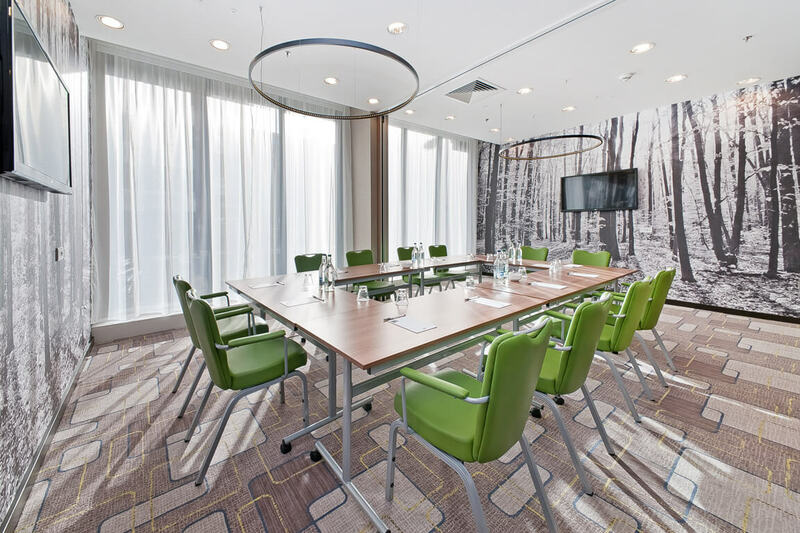 Choose to work from one of 4 meeting rooms, in any of the five comfortable zones in the public area or from the comfort of your own bedroom. Guests can enjoy a hot meal from our 24/7 snack menu or if they prefer they can dine in the adjacent American-inspired restaurant, Greenport Kitchen. Hampton by Hilton, formerly known as Hampton Inn, is a brand of hotels trademarked by Hilton Worldwide. The Hampton franchise includes more than 2,000 hotels throughout the U.S. with 16 other countries, and Hampton by Hilton Waterloo is one of the largest outside of the U.S.